So this is incredible and I can't imagine going through life without enjoying a slice or two. A must make! Enjoy. Use ours, duh! 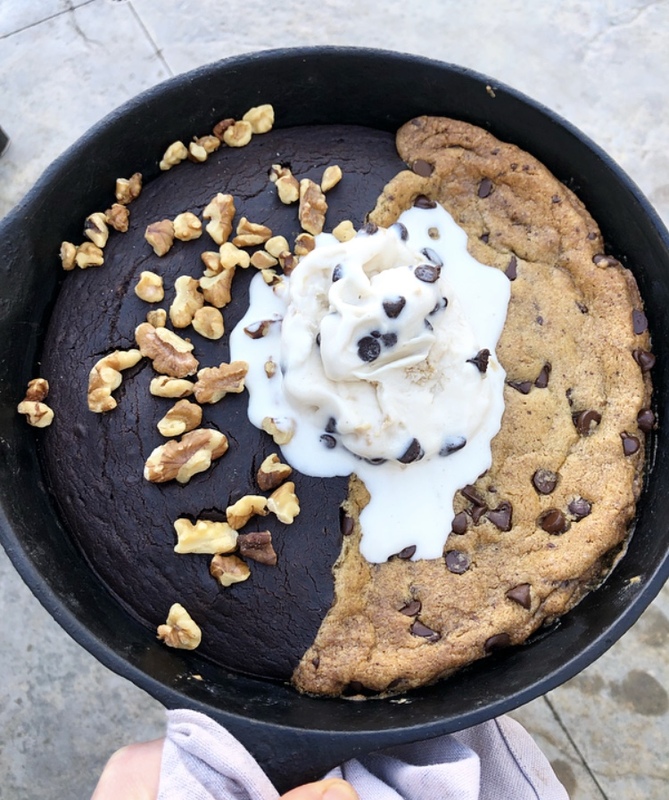 I actually used a layer of our gluten free cookie dough topped with our regular chocolate chip cookie dough and it was amazing! Add extra chocolate chips for richness. 2. Mix the dry ingredients of brownie together and then add all the wet whisking together. 3. 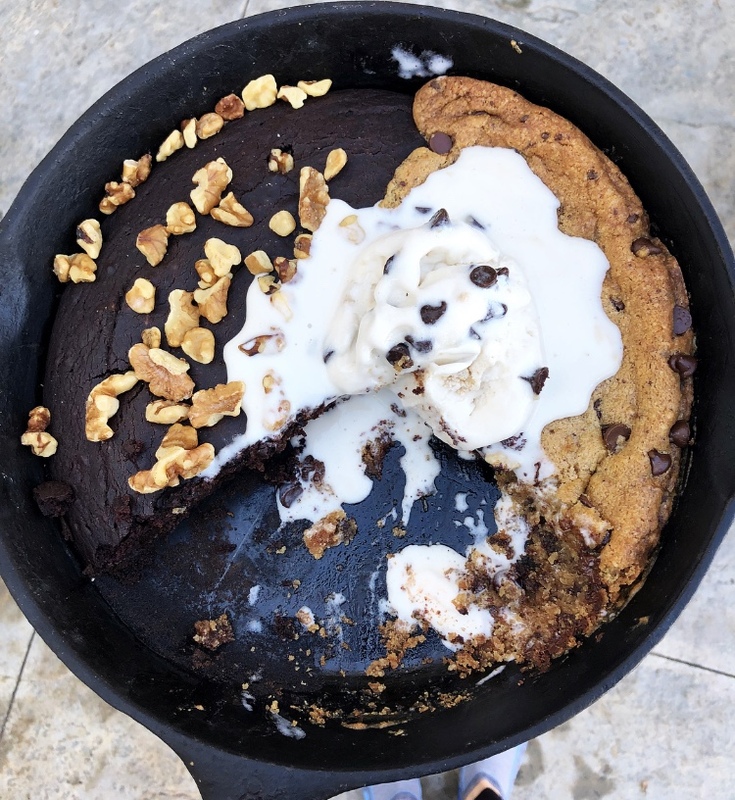 Mold half your greased skillet with cookie dough and pour the brownie batter in the other half. Top with walnuts now if you like. 4. Bake for 30-45 min until the cookie is done. (I give a range because every oven varies). 5. Remove from oven and let cool at least a half hour!